Also, organizations offer people a chance to become selfless and serve people, which is a very satisfying or fulfilling experience. There are various organizations to choose from, some academic and some church-based, and it’s all up to you which one is more suitable for you. 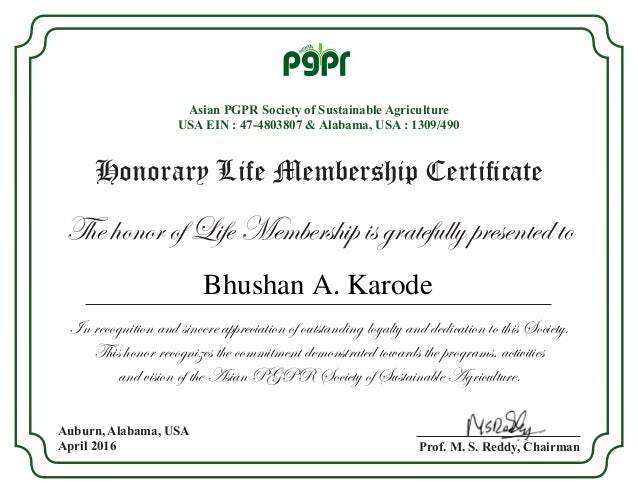 You may also see membership certificate templates. Once you have gotten yourself involved in an organization and you are enjoying the experience, you will most likely not think about how long it has been since you became an official member of that organization. Indeed, “time flies when you’re having fun”, and you will also enjoy those life-changing experiences of being able to serve people—or for religious organizations, the church as well. 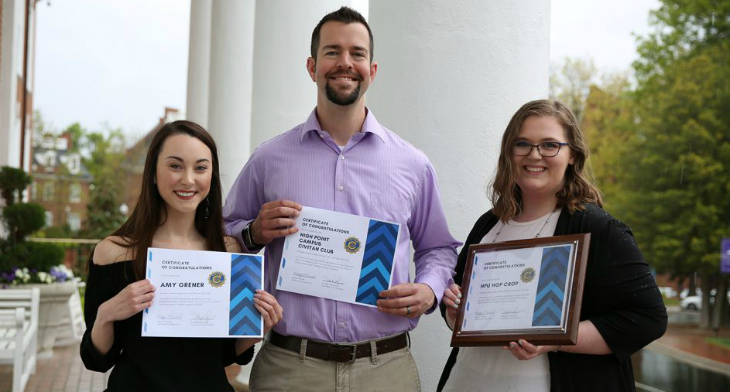 With the number of years that you have served as a member and the achievements that you have made, you may eventually become an honorary member of that organization, which is another achievement that you can be proud of. You may also see adoption certificate templates. 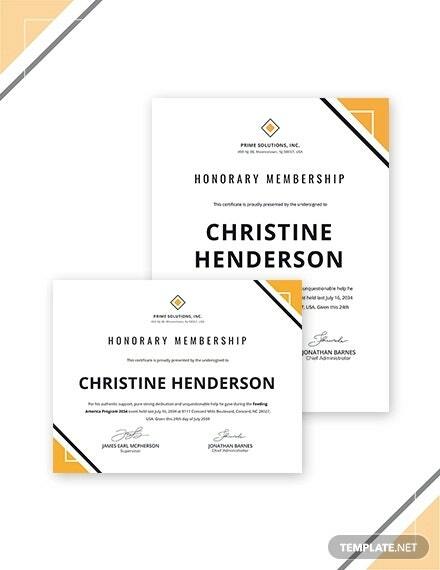 Being an honorary member is obviously an accomplishment that you can benefit from: you get recognized for being an honorary member, and depending on the organization, you may even be eligible to certain financial assistance programs. 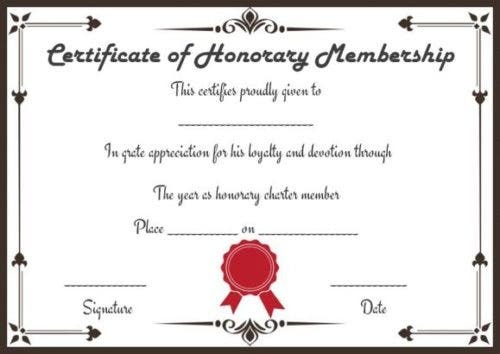 But enough about that, what we do have in this article is a collection of templates to help you make your own honorary membership certificates. These templates are completely downloadable, so feel free to download it if you find a template that works for you. 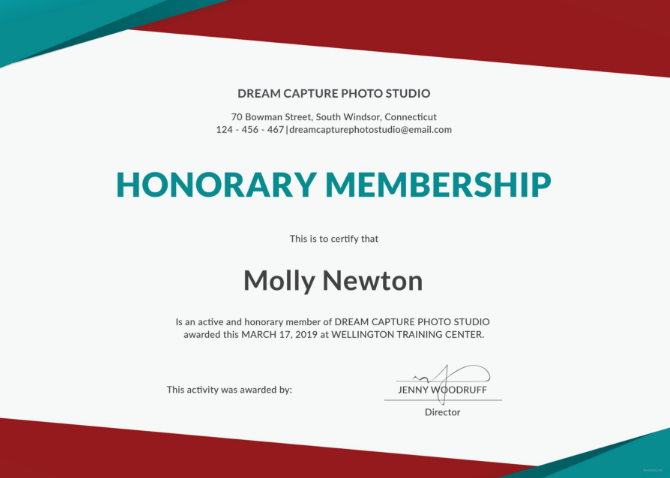 Whether you are looking for a certificate sample that you want to download or simply use as an inspiration for making your own certificate, we have them here for your convenience. 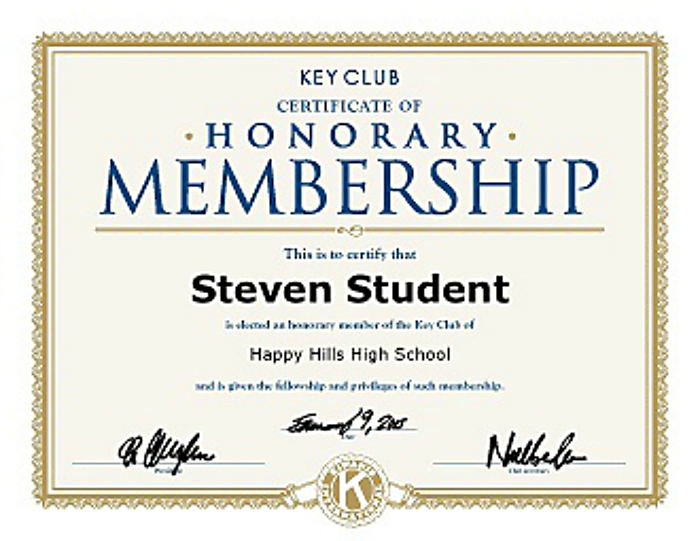 What matters is that you’ll be able to give one for your honorary members. Check out the sample above as reference. Service for your country will also enable you to become an honorary member in the future, and this is probably one of the highest forms of honor that a person can achieve. 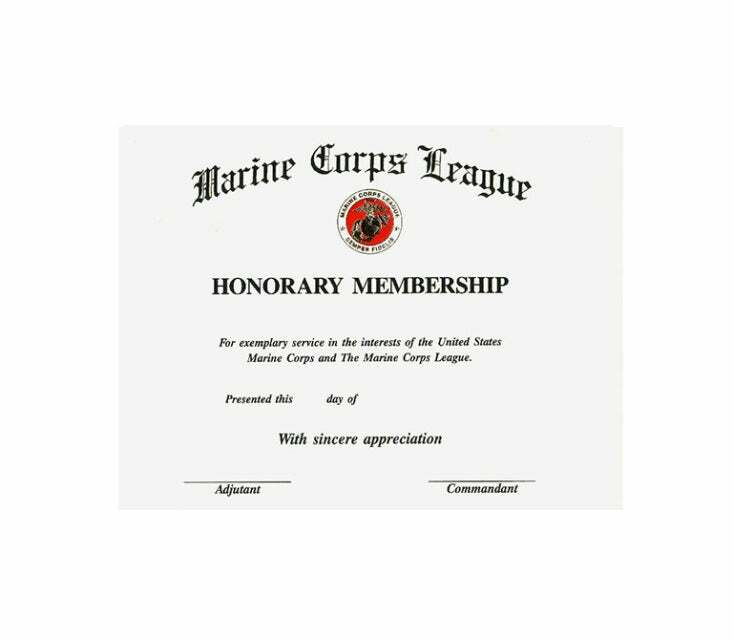 The template above is intended for making certificates for honorary members in the marine corps. You may also see experience certificate templates. The laurel wreath has become one of the most recognized symbols in Greek and Roman mythologies, and it is one of Apollo’s most notable features. According to ancient Greeks and Romans, the laurel wreath symbolized triumph and victory, though it has also been used nowadays to represent academic achievements. If that symbol means a lot to you, then you may want to use the printable certificate template above. 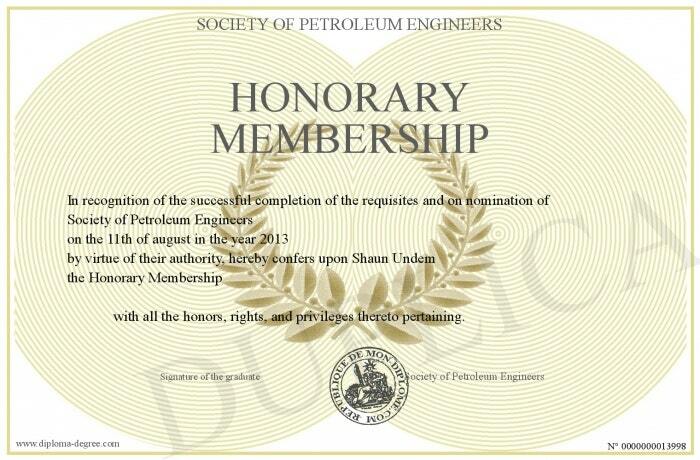 What Is Meant by Honorary Membership? 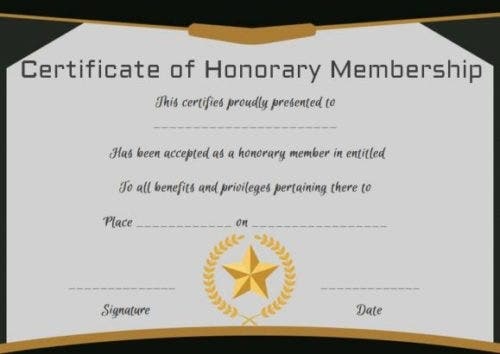 Before we can actually define honorary membership, let us first explain what an honorary title is. The title of honor—or honorary title—is a title given to individuals or organizations as an award for their excellence. While those that have been bestowed with this title have a similar rank as those who hold a position in an organization, honorary members are actually not required to perform duties except maybe for ceremonial ones. To those who prefer a certificate format that’s more modern, check out the template above as reference. Though the overall design is quite minimalist, it does lean a little bit towards the use of colors, complex shapes, and a flat theme. How Does One Become an Honorary Member of an Organization? 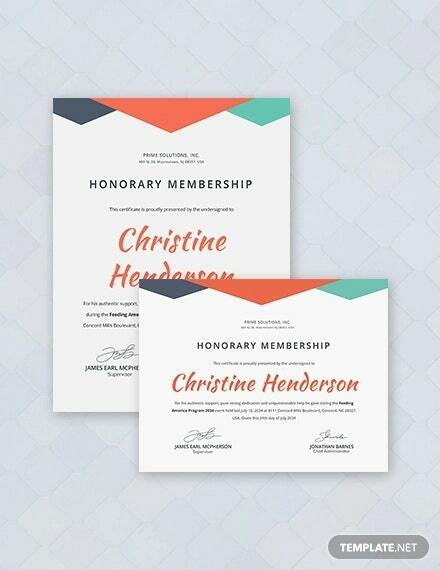 In most organizations, a member may be able to achieve an honorary title if they are able to reach the required number of years of being in the organization. 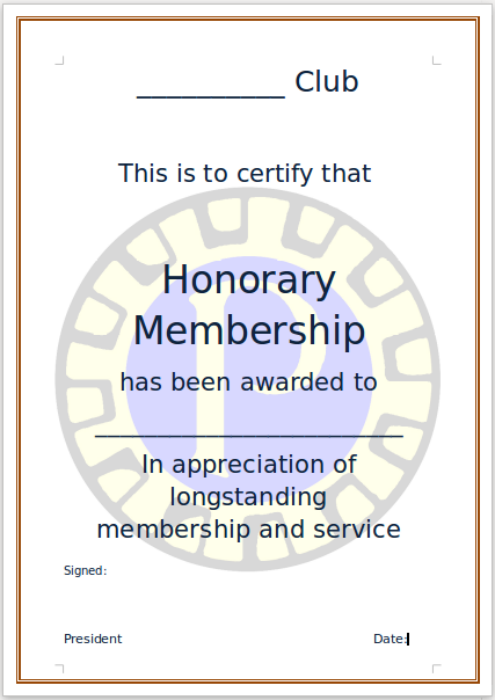 In short, the length of the membership is used as a determinant for a person to become an honorary member. Some organizations, on the other hand, determine a person’s eligibility of becoming an honorary member from their contributions or the extent of their service. 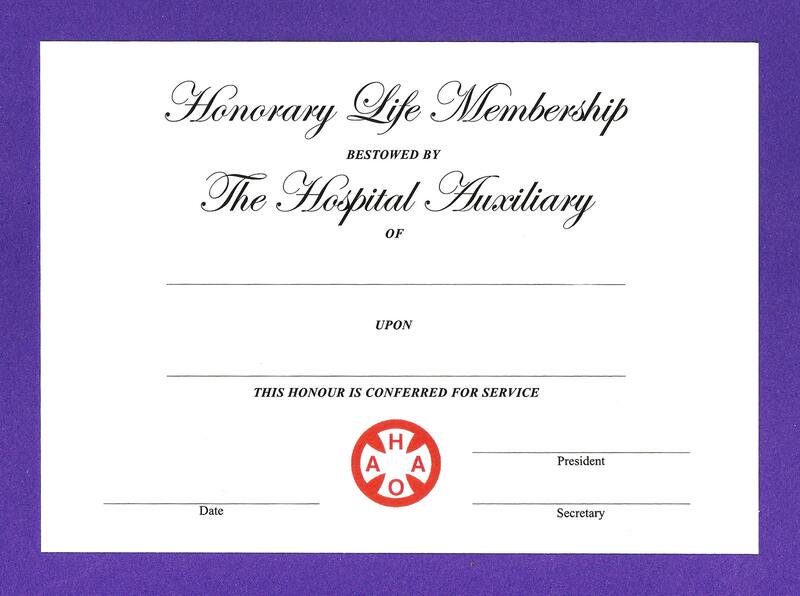 And then there are also a few organizations that consider both length and extent of service as determining factors for becoming an honorary member. You may also see experience certificate templates. What Are the Benefits of Being an Honorary Member? 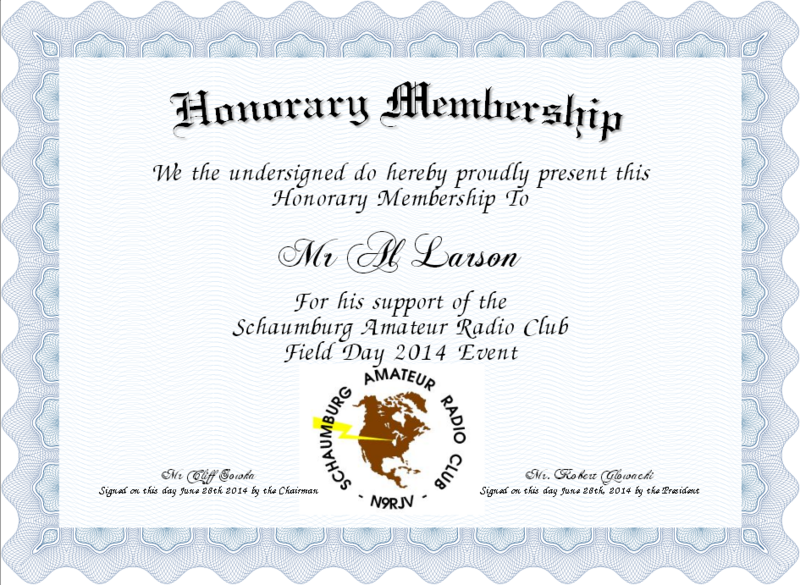 As mentioned earlier, being an honorary member is the same or almost the same as being in a designated position in an organization, but with a few exemptions. Some exemptions are related to the duties that a member must perform, while some are also contribution-related, and by contributions, we mean monetary. 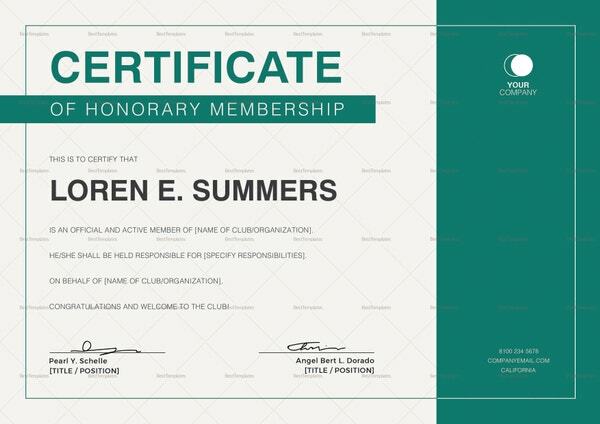 In other words, an honorary member of an organization is no longer required to carry out certain duties if they wish, and they are also not required to pay their monthly dues unless they insist on still doing it. You may also see a certificate of recognition templates. 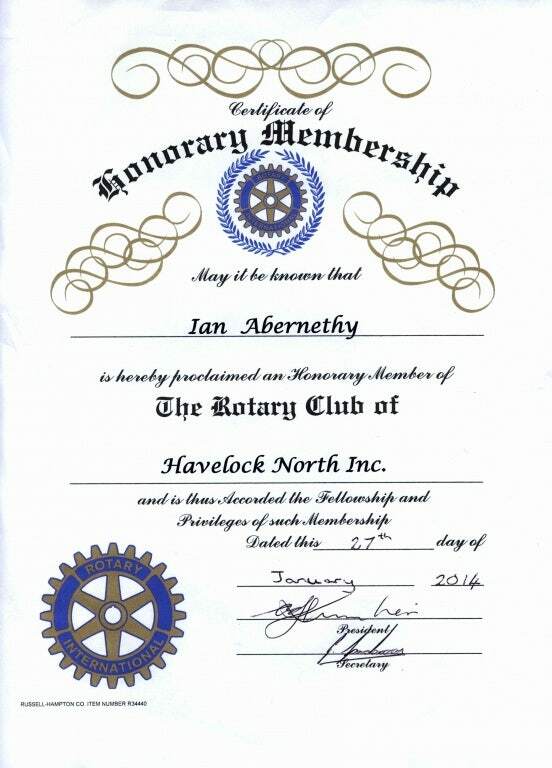 The certificate template above shows an honorary member of The Rotary Club. This service organization is probably one of the biggest ones in the world, and this organization is responsible in bringing together business people and professional leaders in order to extend their hands in the service of those in need. Speaking of big organizations, below is a list of some of the largest and most successful organizations around the globe. What Are Some of the Most Well-Known Organizations in the World? An international non-profit, non-governmental organization that was founded in 1961 that deals with human rights. This organization is responsible for conducting extensive research on how to deal and prevent violations of human rights, and to demand justice for those individuals whose rights have been abused. You may also see free certificate templates. Both the International Red Cross and the Red Crescent Movement are international humanitarian organizations with over 97 million volunteers all over the world. This organization was founded in 1863 by a Swiss social activist and businessman named Henry Dunant. The purpose of this organization is to protect human life and health, to promote respect for all human beings, and to prevent human suffering. You may also see divorce certificate templates. Also known by its abbreviation, WWF, is an organization that started in 1961 for the purpose of protecting and preserving endangered animals. This non-governmental organization is funded internationally and has over 5 million volunteers from more than 90 countries worldwide. Though the overall aim of the WWF is to stop and reverse the destructive effects that our environment has endured, its main focus today are geared towards forests and freshwater ecosystems. You may also see thank you certificate templates. Here is another world-renowned organization that deals with public health. Also referred to as WHO, this organization is a specialized agency under the United Nations and was established in 1948. Today, the main priorities of the WHO are to eradicate communicable diseases such as HIV/AIDS, malaria, Ebola, and tuberculosis. Aside from those issues, the WHO also deals with reproductive health, nutrition, and substance abuse. You may also see job experience certificate templates. Another organization under the United Nations, the UNESCO aims to promote peace and security through the joint efforts of those involved in the study of education, science, and culture. In addition, the purpose of these efforts is to increase the people’s respect for justice, the rule of law, and the human rights. The objectives of UNESCO will tackle five different programs, such as education, natural sciences, social or human sciences, communication or information, and culture. You may also see Microsoft word certificate templates. After seeing all those templates above, you probably have set your sights on at least one of them, haven’t you? I’m sure you have. These templates are too awesome to resist. You’re probably wondering why we’re too confident with regards to the templates that we have gathered for you, and the answer to that is simply because we know how exceptional the quality is. These templates are not only the best, but we actually chose the ones that stood out from among the most impressive ones that we have found on the internet. You may also see PSD certificate templates. As long as you have a stable or good enough internet connection, you may be able to download any of these certificate samples without any hassle. The process is very simple, if you were able to find a particular template that works perfectly for you, just click on the orange-colored download button beside the thumbnail and voila, download started. These templates are compressed inside a ZIP file, which means downloading them will be completed in no time. With regards to the editability of these templates, you’ll be glad to know that you are allowed to make as many changes to these certificates as you need, but you can do that if you have the required tool for it. In this collection of templates, you can choose between PDF or DOC files, which means you will either be needing PDF readers or document processors, respectively. 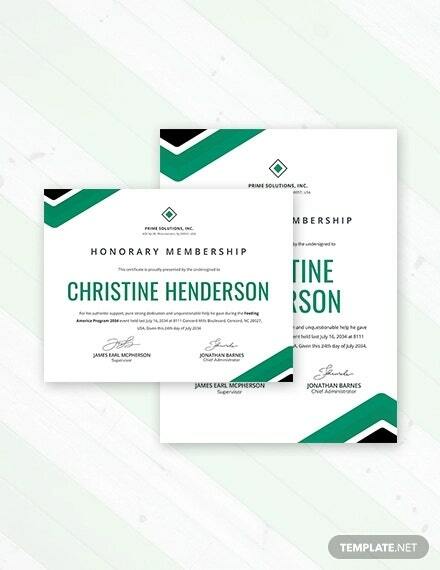 Now, do you agree with us when we say that these honorary membership certificate templates are exceptional? If so, then download one right now.